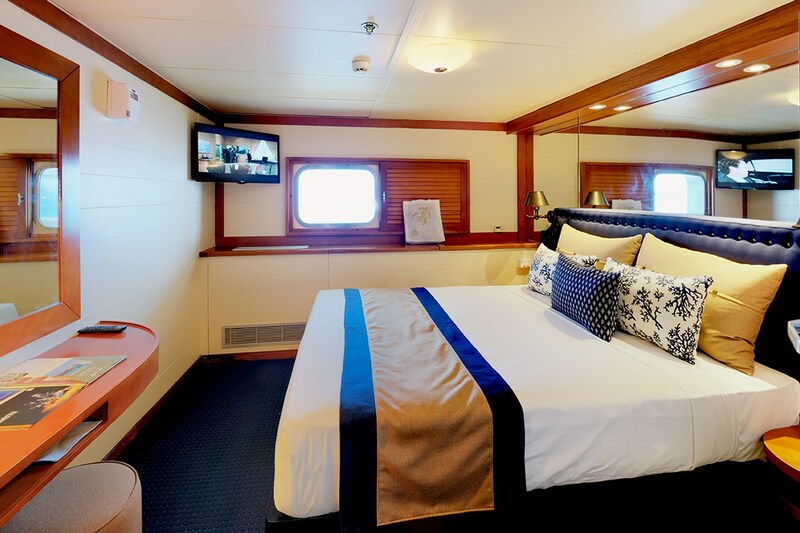 Departs Denarau Marina every Monday at 12.15pm. 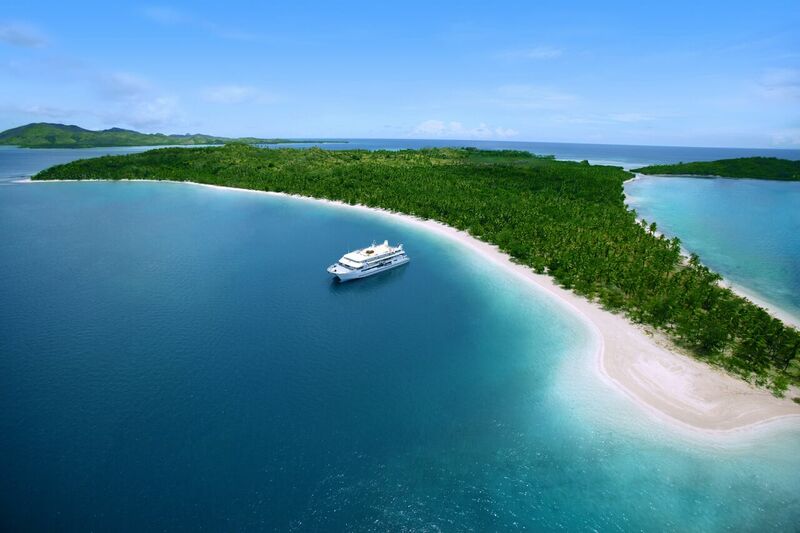 You will be transferred to Sacred Islands to meet MV Fiji Princess. 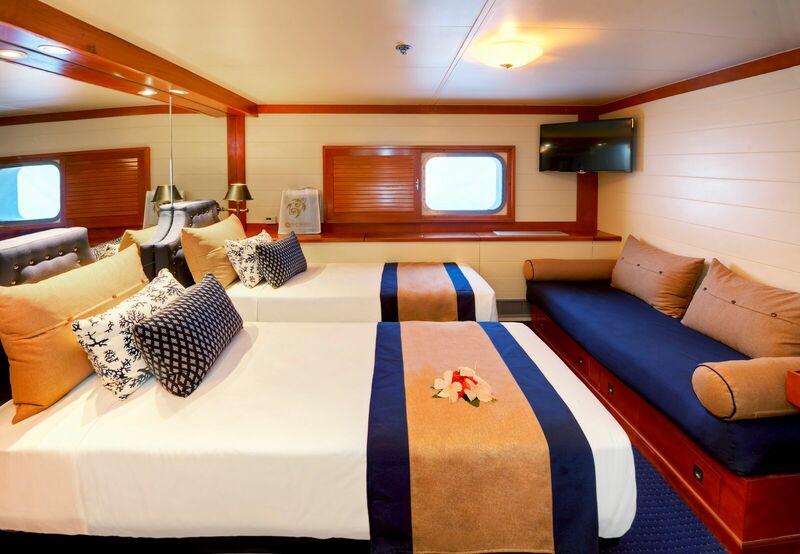 Your voyage into tropical paradise beings on-board high speed private transfer catamaran, Cheetah, departing Denarau then cruising up through the islands to rendezvous with Fiji Princess in the Sacred Islands. 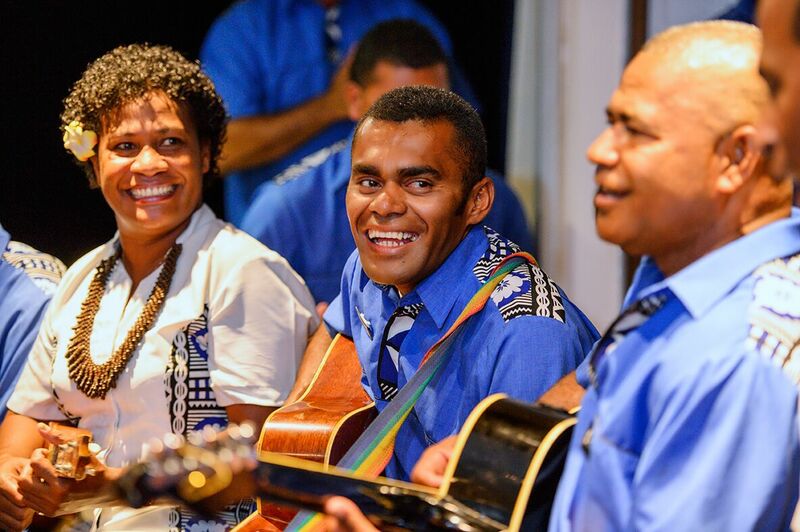 BULA and welcome! 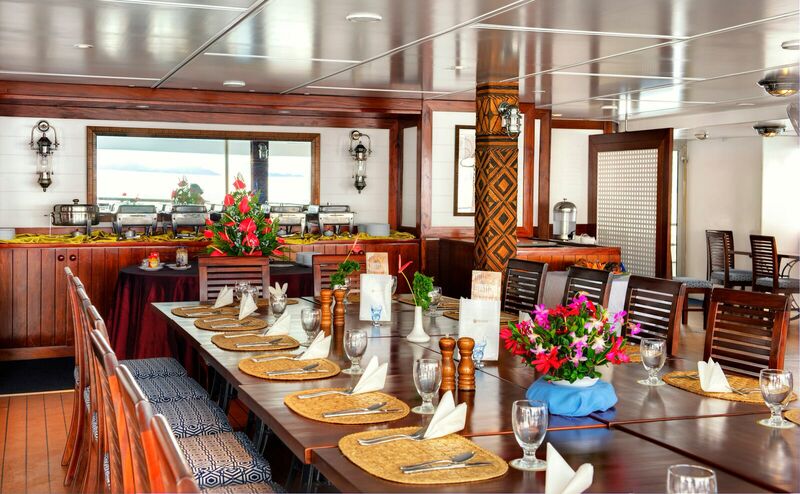 Check into Fiji Princess, meet your crew and fellow passengers then enjoy a tasty lunch on-board. 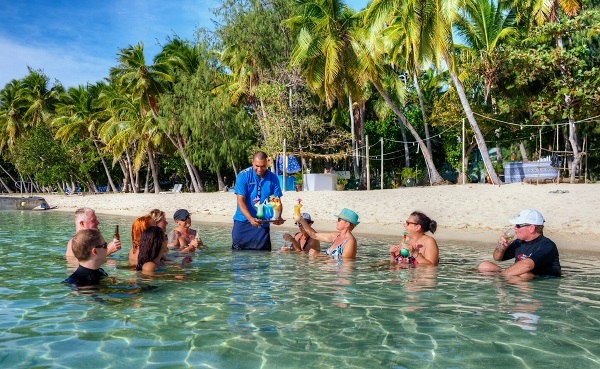 The Sacred Islands provide a breathtaking backdrop and the rest of your day is spent here enjoying these idyllic tropical islands and feeling very special because you are the only ones there! It’s up to you how you want to spend your time in this stunning setting. Enjoy a swim, wander the beaches, kayak in the lagoon and just enjoy the feeling of being in this beautiful part of the world! This afternoon you can learn the art of Fiji High Tea: learn how to make roti in lolo and enjoy with lemon tea. Back on-board it's happy hour at the bar, cocktails, cold beers and wines on the upper deck. Cocktails can be won at the coconut bowls competition! 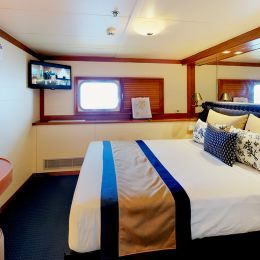 Laze on the sun deck as you cruise past several of the larger Yasawa Islands and beautiful bays. Our destination today is the famed Blue Lagoon. This superb stretch of water is circled by islands, creating a lagoon that is filled with fascinating coral reefs easily seen from the surface of the crystal clear waters. 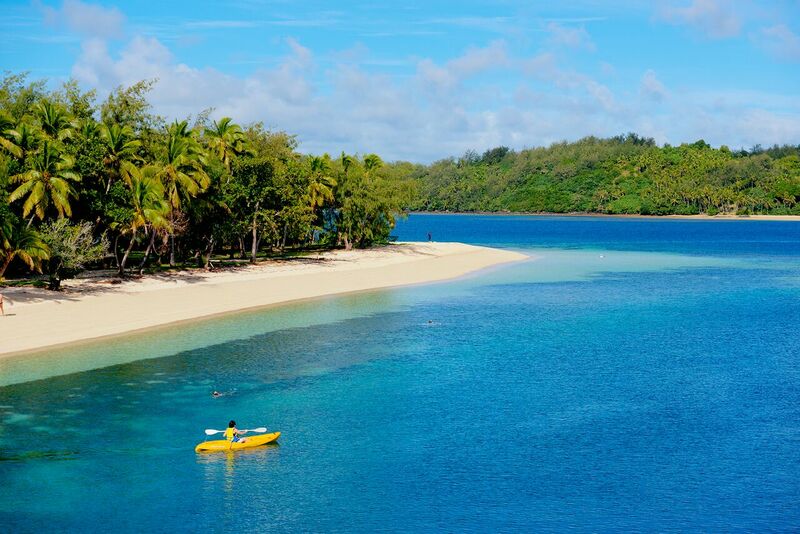 One of those islands, Nanuya Lailai, is home to Blue Lagoon Cruises very own private beach. 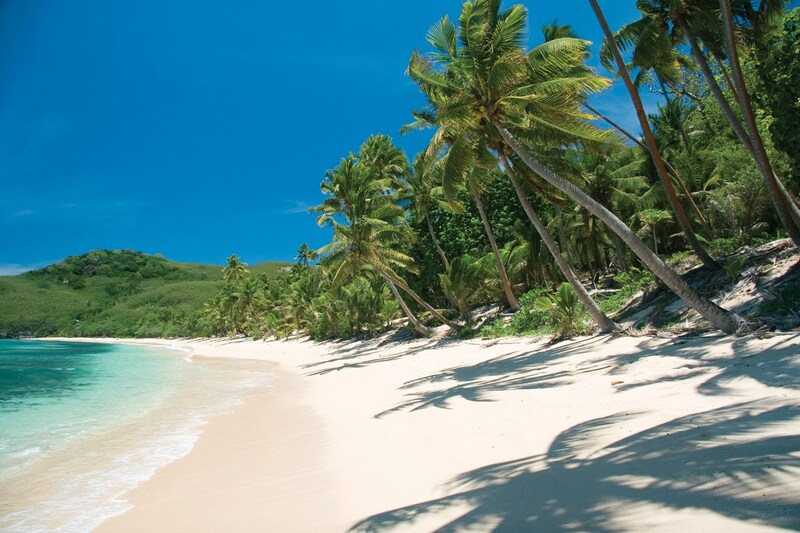 Watch as the crew position the vessel right up to the beach and tie her off to a coconut tree! 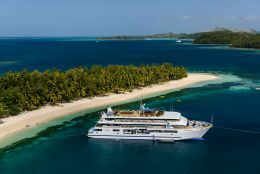 Lunch is served on-board, whilst on shore our private 'Fiji style beach club' awaits, along with sun loungers, onshore massage, a bar and beach volleyball. 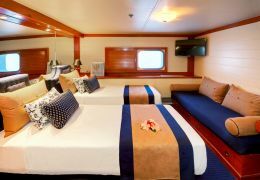 You’ll have plenty of time for swimming, snorkelling, fish feeding, viewing coral from the glass bottom boat or just wandering along to a secluded stretch of beach to top up the tan. We’ll give a coconut demonstration – how to climb that palm, get the coconut and husk them, then appreciate fresh coconut milk straight from the coconut for afternoon tea. Delicious! 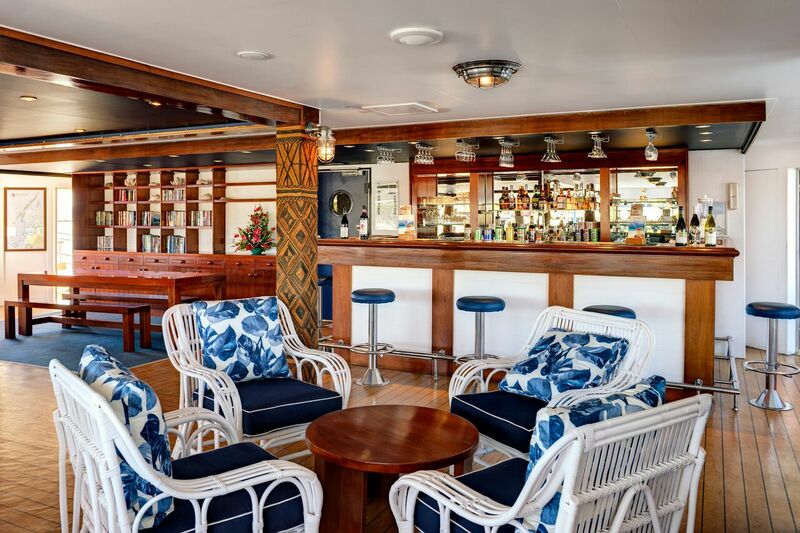 A delicious buffet lunch is served in the dining bure on shore before it’s back on-board. 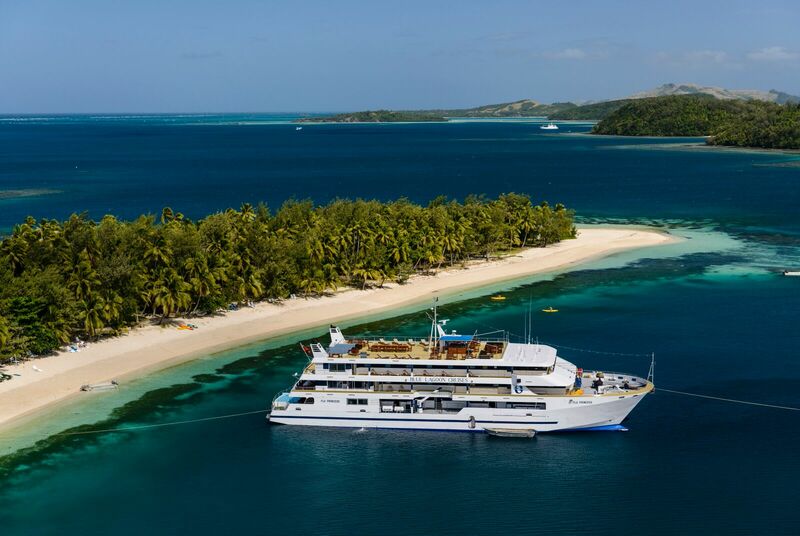 Fiji Princess heads North to our next destination, the mystical island of Sawa i Lau. 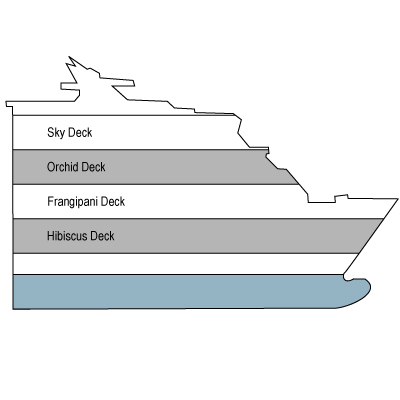 Afternoon tea is served on-board as you ruise. 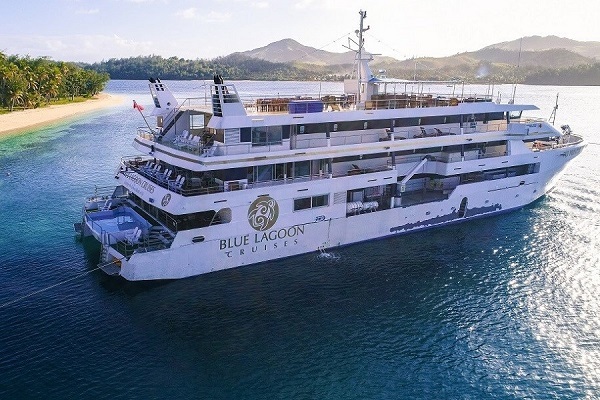 On arrival at Drawaqa, our Marine Biologist will tell you all about the local fish, marine life and the conservation work the Vinaka Fiji Volunteer team are doing in this area. If you are lucky enough to be here during May to October then an introduction to the magnificent manta rays, whose feeding ground is just nearby, will be included. Conditions permitting you will have the opportunity to snorkel with these wonderful creatures in small escorted groups. 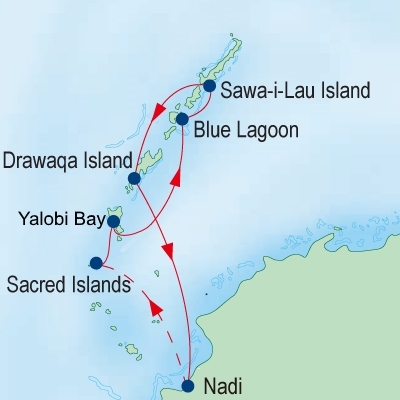 From October to April a guided 'Reef Safari' snorkelling tour is conducted to see the prolific corals, clams and marine life in this area. 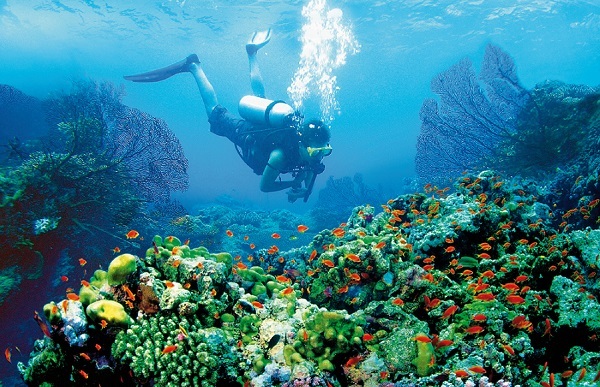 This is also a superb dive area and optional dives under expert instruction – perhaps your very first scuba dive can be booked. Certified divers well catered for as well! 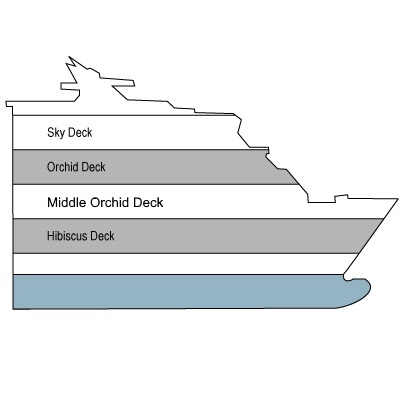 (Diving is an additional cost). 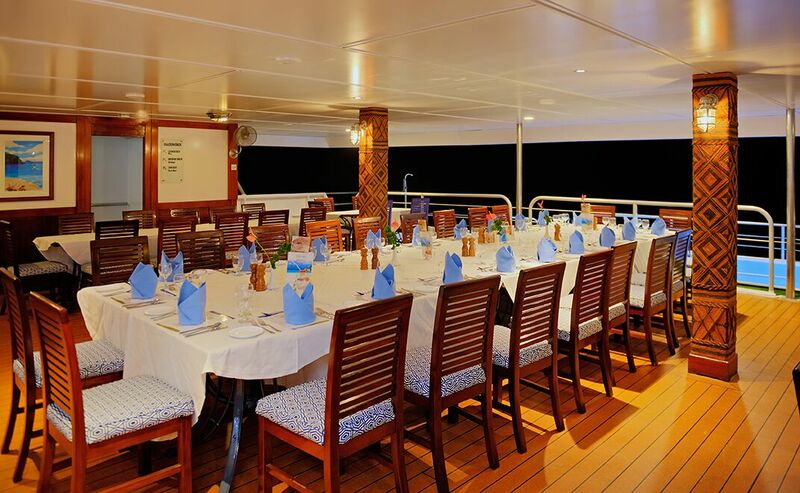 Dinner this evening is a barbecue served on the upper deck of the vessel dining under the stars! 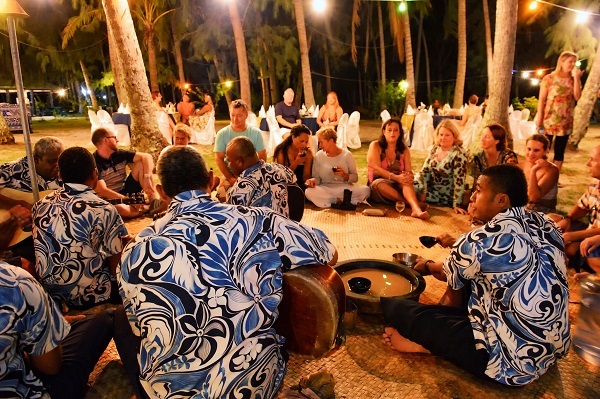 A special feast and party night is the perfect way to celebrate your time in the Yasawas. 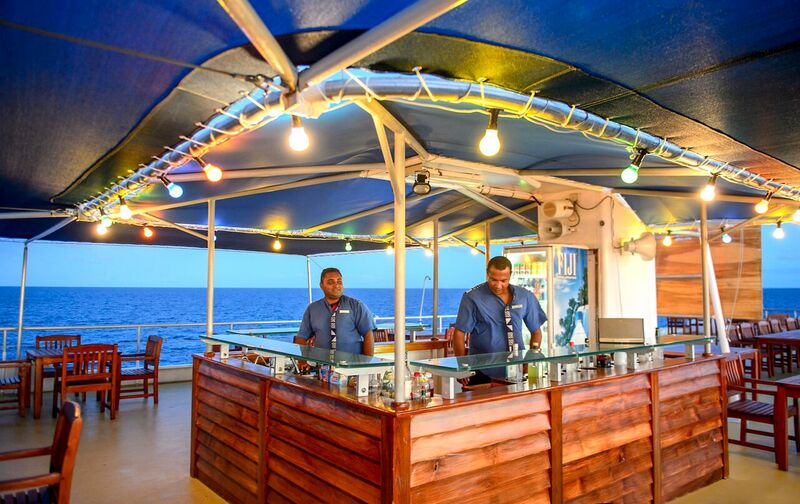 The bar is open and our resident DJ 'Fiji Afro Jack' spins the tunes on the upper deck. 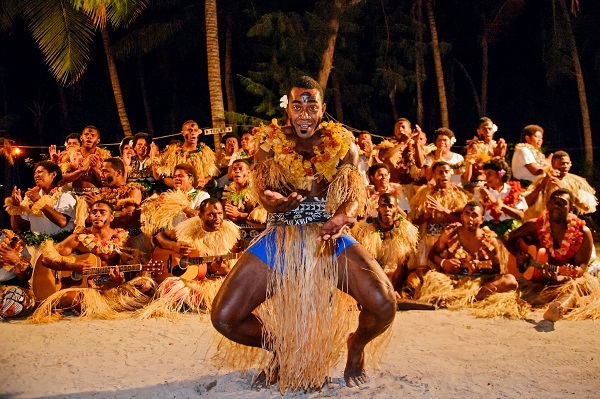 If you haven’t already learnt the Bula Bula dance you soon will.